This passage has strong language and reveals judgment against the disobedient Jewish nation. There are many lessons and rich principles that we can grasp from their mistakes. 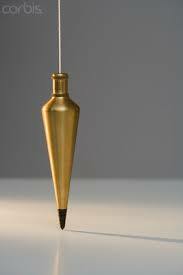 However, I want to focus on the plumb line. The Plumb line is a tool that is used to help determine whether something is lined perfectly vertical. We have all a built-in plumb lines or values shaped by our families, influences, past, and the like. It becomes the mechanism that governs our standards and the way we conduct life. In addition, if were not careful this also becomes the tool we believe others should live by. In construction, when the plumb line is off, it could have grave repercussions that might require deconstruction, causing you to rework from scratch or simply readjust certain angles to straighten out the work. What if your personal plumb line is off, what if you woke up one day and realized that you have approached life with a line that wasn’t straight? At that moment, there is a decision to be made. Either live in denial, and continue living a warped life. Alternatively, recognize the beautiful gift of being in Christ the moment you realize you missed the mark, grace is infused into your circumstances. Moreover, the grace was already there patiently waiting.